To make sure you get the best deal we'll show you great prices from all of our drivers, including Clockwork Transport- Van Services , if they're available on the day of your move. Have a question for Clockwork Transport- Van Services ? No problem, send them a message and they'll email you back as soon as possible. If you have a more general question you might find it answered in the FAQ, or you always contact one of our brilliant customer service team. * Clockwork Transport- Van Services won't be able to see your email address. 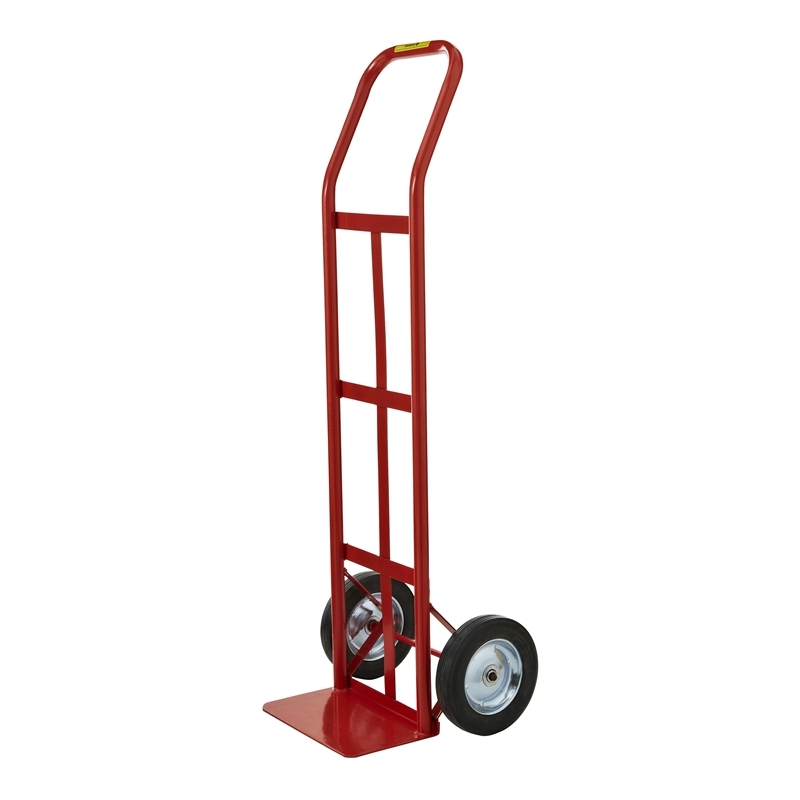 these provide a large space enabling any size items to be transported safe and securely. OUR COMPANY GOAL IS TO ENSURE THAT THE PEOPLE WE WORK WITH ARE HAPPY, AND THAT DOESN'T MEAN JUST OUR CLIENTS. BY RECRUITING HI-CALIBRE INDIVIDUALS, GIVING THEM THE RIGHT TRAINING, MOTIVATION AND INCENTIVES TO MAKE THEM WANT TO COME AND WORK FOR US, WE KNOW THAT THEIR PASSION WILL DRIVE US FORWARD AS A BUSINESS. HOW DO WE KNOW? BECAUSE ITS HAPPENING RIGHT NOW! WE ARE PASSIONATE ABOUT WHAT WE DO AND ALTHOUGH WE ARE HERE TO ENSURE A SUSTAINABLE FUTURE FOR THE BUSINESS AND ITS STAFF, OUR MAIN DRIVE AND FOCUS IS CUSTOMER SERVICE AND TRYING TO EXCEED EVERY CLIENT EXPECTATION. OUR TEAM ARE MOTIVATED, HIGHLY SKILLED AND POSSESS THE HIGHEST INTEGRITY. Whether it be a piano or parcel all care is taken to insure your goods are collected and arrive exactly as you would expect! Any other questions or concerns please request a call back I'm always happy to help and hear from you. 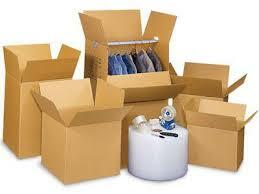 Packaging boxes, bubble wrap can be supplied if requested. Great service - incredibly helpful throughout. Wayne was so helpful and did a great job. Thanks a million! Wayne was fantastic! So quick and efficient and helpful, nothing was too much trouble, he made moving a breeze. Thanks, Wayne! Was great - on time, helpful and efficient. Wayne couldn’t have been more kind and helpful, and he made everything much easier than it might have been. I wouldn’t hesitate to book him again myself or recommend him to others. Was running a bit late, but communicated in advance, brought an extra guy to help and was very quick and efficient. So in the end wasn't a problem. Would recommend highly. Fantastic! Couldn’t have asked for anything more. Made the move stress free. Wayne, Billy and Andy couldn’t have been better. Very happy with them. Would recommend to anyone, great service. Our move went extremely well and Wayne played a large part in that. I'd definitely recommend Wayne and I'll be using him again. Driver was brilliant and so helpful! Will definetly book with him again! Amazing experience, definitely best service I’ve experienced in London. We’ve loaded the whole Luton van in no time, the driver was super fast and skilful. I highly recommend this service! Wayne was absolutely amazing. Very professional, hard-working and overall a great help on a stressful day. Would definitely book him again. Great experience, fast , easy , pleasant! Driver Lawrence a great professional , very helpful and a very pleasant person! Highly recommend this driver and this service! Thank you for everything! Wayne was extremely professional and helpful. Made the whole process very easy. Would definitely use him again. The best driver we had! Highly recommend!!! Best driver ever. Gave us a hand for freed. Good lad! Wayne was great! Very helpful and helped us move across the city in no time at all! Extremely professional, accommodating and helpful, he made the move far easier than I thought it would be. Would genuinely recommend to anyone. Wayne was fantastic. He was slightly late due to traffic, but was only 10 minutes late and rang to let me know. Wayne was really quick to load and unload, professional and so friendly, the couple of hours drive went so quickly as we were chatting away! Wayne really made our move stress free and I'm so glad that we used him. My driver was truly a lovely guy. He helped pack and unpack my items twice as we used him to move packages to and from a location. He was so good the first time and for such a good price we just had to use him again. he was lovely to talk to and made the move super swift and easy. It is amazing how Wayne works. I would really recommend him. Thanks! Wayne was nothing short of a legend! Incredibly helpful, very friendly and really professional. Even though he was late he made up for it in bucket loads throughout the day and with the hour made up at the end. Best removal man ever. Thanks Wayne! Wayne was very helpful and very professional. Would recommend him and use again if need be. It was a faultless move. I would not hesitate to use him again. Excellent service, friendly and careful with my possessions. Arrived slightly late but mainly because my flat was hard to find parking for. Thanks for your help! Fantastic help, very accommodating and helpful. Treat items with respect and made our move very smooth! Wayne was amazing, very professional and it was a pleasure to get the move done with him! Wayne was a an absolute wonder, relaxed and calming but super efficient with a plan for everything. All sorted quickly and calmly, even with an 8 floor lift relay. Couldn't have been better. Great, great, great! Would recommend and would use again! Highly recommend Wayne - very friendly, helpful and good and organising everything in the truck. Even helped a man and woman after they were involved in a car crash on our street! We can't recommend Wayne at Clockwork Transport highly enough, he went above and beyond and was a huge help to us on what turned out to be a rather frantic moving day. Wayne was friendly, professional and worked extremely hard, he made the whole process much easier - not sure how we'd have managed without him to be honest. We got stuck in rush hour traffic coming back through London and Wayne went out of his way to get us unloaded in fastest time possible at the other end. Have already recommended and will use for our next house move. Wayne was very polite, helpful and punctual. I would definitely recommend him. I would say 10 stars driver! Very helpful and professional! Wayne with Clockwork was incredible. He was efficient, super friendly, and a master of truck reverse maneuvering!! Brilliant experience, thanks again Wayne! Wayne was fantastic. Efficient, helpful, strong, good to chat to and very respectful of us and all of our belongings. Took the stress out of moving day. Excellent services provided by Wayne. Helpful and friendly. Really great, friendly and speedy move, would definitely use them again! Wayne was amazing during our move - clear communication the days before and when he was a bit later on the day itself. All items were securely strapped in, very generous driving style (letting people go first, making space) which I appreciate as a cyclist. Lastly, he was very sweet to our cat who travelled in the van with us :-) Would certainly recommend! Friendly, reliable and professional service. Will cater for all your requirements and I would 100% recommend. Wayne was exceptional. We over ran majorly as hadn’t envisaged the job to be quite so big and weren’t as org wise ras we had hoped and he just got on with it. He problem solved, gave 110% ( a lot of brute force) and directed obnoxiously large and heavy items down our narrow stairs with minimal damage. Wayne was brilliant, he was so helpful and knowledgeable. He was on time and professional I couldn’t recommend him enough. Absolutely superb service. Driver was so cheerful and helpful. Wayne was fantastic, will definitely use him again for future moves! Very kind! Went above and beyond! Everything went smoothly and highly recommend. Wayne was very efficient and careful with our stuff. Worked very hard and stayed cheerful despite the blistering temperature! Great person. Some minor damage to one item when a metal lamp was put on top without padding (I think the padding had slipped). Don't blame the driver. I understand that these things happen. Would definitely be happy to use again. Help much appreciated. He is extremely calm, helpful & efficient. Definitely use again! The driver was a bit late but otherwise nice and very helpful. Great service! Super lovely driver so helpful and friendly would highly recommend!! Wayne is brilliant, very careful with items and willing to get stuck in. Really delighted with his help. If you want a reliable driver who is also very good at packing this is your man! Recommend the service, Wayne was excellent. The van arrived 15-20min late due traffic, but the driver contacted me before the booked hour. A big plus for being reached days before the move, to check if the van size would be enough for my needs. Really friendly with a great sense of humour. Wayne was always proactively helping us out with everything without us even needing to ask. Wayne was brilliant. Super helpful, really quick and great company for the journey there. Thanks so much! Excellent service, Wayne was quick, careful and friendly! He was quick, efficient, polite, came early and finished our move early. He even drove to another location without any extra charge. Highly recommended. Wayne was a great guy. On time.. took care of all items. Ensured that computer monitors and TV were especially taken care of (wrapped in blankets and strapped). Great guy and highly recommend him! By far the best driver I had! Incredibly fast, very careful and a real gentleman. Highly, highly recommended. A first class experience, if you need a van and a man, look no further, book this guy immediately! Couldn't have been better, from a very happy customer. very good experience, would definitely choose again! Really nice guy, on time, helpful, everything arrived safety. Perfect - totally punctual, very helpful and friendly - highly recommend. Fantastic service. Friendly, really helpful and efficient. Will definitely use again. The whole experience could not have been better. Wayne is excellent. First class. Will use again and recommend without hesitation. It is clear to see why Wayne has achieved HERO status. He was absolutely excellent! He was friendly, personable and respected our items. I would definitely recommend him and would use him again. Happy moving! Wayne (and Finn) were fantastic. Highly recommended. A great job, well done by great people. Very happy. Wayne was on time, super helpful and a very nice chap. Would definitely use again. He was excellent, very efficient, very quick and extremely personable. Would most definitely recommend his services, couldn't praise his efforts enough. Wayne was great - really prompt, knew exactly what we should do, got our tricky sofa out and swiftly navigated the M25. Can't fault the guy, very nice and reliable. We would definitely use again. Wayne was superb. Great service and lovely man. The driver was absolutely brilliant, very professional and friendly. I felt like I had known him for years! Amazing guy...will definitely hire him next time around. Wayne was absolutely brilliant, not only quick and hardworking but also really friendly and nice. He arrived late, but let us know his eta and added the time on to the end of the job, so no harm done. We arrived at our destination on time with our possessions all in perfect condition after an enjoyable journey spent chatting. There's a reason Wayne's got top reviews - because he puts in 100% and always has a smile on his face. Would definitely recommend him to anyone looking for a stress-free move! It was a pleasure to deal with Man & Van , and also to have the services of Wayne from Timely Services. Wayne was most helpful in loading / unloading and fast and efficient in operation. I would not hesitate to recommend his services to anyone looking to either move house, or a single item. Many thanks for making a stressful time a bit easier. Wayne was brilliant! He made our move much less stressful and knew exactly how to carry and pack all of our items to keep them safe. He was friendly, funny and good company. Thank you! Not the most professional level of service. Driver was 30 minutes late and refused to help carry smaller items upstairs leaving 30 minutes early. Complaining to a client is not a good look as I am always willing to tip or pay extra for exceptional service. Wouldn't book again. We are sorry that you were dissatisfied with the service you received, however, as you selected 'no stairs' in your booking, the driver would not take your goods up or down any stairs, unless you were prepared to pay this charge. In addition, If the booking is completed early because you do not wish to pay the stair charge, the driver is under no obligation to stay and perform a service that he has not been paid to do. Great service. Wayne arrived and immediately started to load the goods. We got to the destination on time and Wayne spent additional time helping to unload, which was a bit of a logistical challenge. All in all I could not fault this service at all and highly recommend. The driver was friemdly and efficient. All the items were secured properly un the van. Wayne was fantastically helpful and went way beyond what we expected of him. He was courteous and knowledgeable on the best way to pack our belongings into the van to ensure no damage occurred. Thoroughly recommended and would definitely use Wayne' services again. Pain free move!! Couldn't have been easier. Would definitely recommend and use again. Thanks for all your help! Wayne was awesome and made our move super easy. He was 10 mins early, and we got the van fully loaded, drove right across London and unloaded into the new house all in under 2 hrs. He couldn't have been more helpful or better company, and helped make moving a stressless experience! Highly recommended. Wayne arrived early and was super helpful and would highly recommend him! Top guy and a gentlemen! Wayne is a really lovely guy and made our move really easy. I can't recommend him highly enough. Wayne was absolutely brilliant - he was positive, helpful and made easy what we had anticipated to be a very stressful experience. He made us feel very relaxed and we had a great chat during our journey as well! Would absolutely use again. He was lovely, friendly and chatty. It was a good experience and i would definitely use him/you again. Super service. Polite, professional and very pleasant to share a three hour journey with. Is definitely my first choice for any future van moves! So straightforward and helpful, highly recommended! Wayne was fantastic. Great pre- arrival communication. Exceptional lifting and packing skills and a really nice guy. Made the day so much easier than we anticipated. Highly recommended. Wayne is an excellent man with a van. He was prompt and polite, and very efficient in moving my things. Moving was stress-free and very reasonably priced, we will use Wayne again when we next move. Although he didn't arrive on time, he let us know in advance that he had been delayed. We were quite nervous about the move but he made us feel calm. He was a real pro! Thank you! Opted for man & van combo. Wayne was a great moving companion. Delivered all our items safely & promptly. Would recommend. Everything went smooth, very happy anout the driver and the job done. Highly recommended. Wayne our van driver / mover was brilliant. Very careful with our stuff and a really nice bloke to boot. I would highly recommend him. On booking, you are provided with the driver's direct contact details so you are able to liaise with him directly regarding your booking. The quote you receive is only ever based on one trip, from collection to delivery address. I'm very disappointed with the arrival time of your van driver. I had booked it for 2pm and it's now 3:50pm he has not arrived yet. I would like to ask a discount for the inconveniences caused as I had appointments scheduled in the evening which unfortunately I had to cancel. We are sorry that the driver was delayed to your booking. We do have a lateness refund policy which you will find attached to your email booking confirmation. Wayne was fantastic. Highly professional and I would work with him again and recommend the service. Outstanding service. Very highly recommended. The whole process went amazing. The driver turned up with a bigger van than expected, which was great because I was afraid things wouldn't fit inside. He was incredibly helpful and polite, and a really good driver on top of that. It was a pleasure to move, thanks to him. I would definitely pick him again! Wayne was superb. Genuinely nice guy, very helpful. Would definitely recommend. Very helpful, efficient and pleasant driver. Happy with the whole process from start to finish, and especially happy that I was able to book a move of the items for the same day! Great bloke, and some kind of geometric/spatial awareness genius getting a huge sofa through our particularly awkward flat! Slightly late but very friendly and helpful, professional service, no complaints! Wayne was incredibly helpful and he made the whole process so easy considering we had to make four different stops. I would highly recommend him. Very helpful driver, he carried most things himself and he was very fast moving our boxes. The driver was amazing, very polite and flexible. We will recommend him to everyone neeeing to move. I booked my van spur of the moment for immediate arrival. The driver arrived after the time I had booked but we arranged that so his flexibility really helped. My time did not start till he turned up, so it worked well for both of us. My items although not fragile were (although not always heavy) often troublesome to move but he had the strength and practice to make moving it look easy and getting it all in, simple. He was full of banter and we had a laugh loading, driving and unloading. He also dropped me at my car. He was a genuinely really nice bloke and I was pleased I used his service. Wayne is the best. Good chat. Very helpful. Wayne and his colleague were excellent! We have made countless moves, across the country, across Europe, and across the Atlantic for work, and experienced many different levels of commitment from movers. Wayne was absolutely one of the best. He was a little late - stuck on the M25, so not at his doorstep, as a person can never tell what the M25 is going to do. He then immediately made up for it. What I thought would take two and a half hours to do only took him an hour and a half. And on a sweltering hot day, he did it all with the best possible humour and courtesy, as did his colleague. Trust me, Wayne is good. Amazing! Wayne was fantastic throughout the move, he was extremely helpful and courteous. I wouldn't hesitate to book him again, top service! Excellent service. Everything went according to plan. Couldn't ask for anything more. Very helpful. Even tho i Had asked no help from the driver when i booked, he still helped me and my sister. Very nice and kind. Would definitely recommend. Many thanks. Wayne was a really nice guy and very professional, he took the stress out of our moving day and we were loaded and unloaded so quickly! He is welcome round for a coffee anytime! Wayne was fantastic. He went out of his way to be helpful and guided the move from start to finish. He was very good humoured and kept everyone smiling, taking the stress out of moving. I would definitely hire him again, a very safe pair of hands. They were really efficient and very helpful when we had been let down by another company. Would definitely recommend. Would definitely book Wayne again!great service,quick and helpful! Wayne was excellent! Would highly recommend. Wayne was great. Really friendly, experienced and respectful of my belongings. I'd definitely recommend Wayne for any removals in future and would gladly use him again. Wayne was excellent. Really efficient, took good care of our belongings and us. I would always recommend him and use him again. Thank you Wayne! Wayne was extremely helpful, accommodating and efficient. He helped my boyfriend and I move house with ease, I highly recommend his services. Wayne was really helpful and friendly. Wayne was fantastic. On time, very organised, helpful, willing and careful. Couldn't have made it any easier for us. Will definitely contact him again next time we move. Wayne was a star: very helpful and very friendly. The van was massive, so no need to worry about the order in which we loaded it. All in all, just an excellent service. Great value too. Wayne was an absolute hero, super helpful, patient and hardworking. Lovely chap, made a stressful day moving house surprisingly enjoyable! Wayne was great - really helpful, knew how best to pack the van, made moving day much less stressful! Would definitely rebook. This guy is just the best choice I could made. He was so helpful, punctual and such a good mood and vibes. I'll recommend him to everyone 200 % for sure. Amazing service. Wonderful attitude. Made the big move much more easier and pleasurable. Highly recommend. Very kind, courteous, knowledgable and seemed to very much care about our move and experience. I cannot recommend him highly enough. Taking the hassle out of doing it yourself, at a very reasonable price. I have a friend moving shortly who is also planning to book Wayne - he was that good! Also, the van easily fit all of our belongings from our one bed flat. Wayne was massively helpful, friendly and even helped carry the TV we had upstairs. Highly recommended! Although our driver wasn't on time, he did call me to let me know he wouldn't be on time as his last job overran and that he was stuck in traffic. He was very courteous, and nothing was too much trouble, all the while taking as much care as possible not to damage our items. Very much recommended! Wayne gave us excellent service, arrived in good time ,was friendly and work really hard all day on moving our boxes and furniture. Highly recommended. Although he was 15 mins late because of traffic in central Cambridge, he rang me to warn me in advance. He was friendly and chatty, and completed the job in good time. Will be using his services again if we need another move! Thanks so much. It went so smoothly and I couldn't of asked for any better. Very professional. Wayne was punctual, professional and friendly. Highly recommended! Wayne was early. Super nice. I was driving my own car behind him and he made sure I didn't get lost despite a motorway closure and a sat nav fail! Definitely recommend! On time, pleasant and a great help during the move. Highly recommended. Wayne was brilliant! Worth every penny. Very helpful and made my move less stressful and made me feel comfortable! Excellent driver. Very punctual, friendly and helpful. Wayne was great, let me know what time he would be arriving and was really swift at loading/unloading from the van. Wayne was excellent - quick, careful and friendly. I'll definitely use him again. Couldn't have asked for more from Wayne. He was bang on time, friendly and helpful - he knew the best way to pack the van to get it all in and was a pleasure to talk to. Thanks! Wayne was excellent and we couldn't have asked anything else from him. Moving day is always going to be a stressful one but Wayne's skill along with his positive attitude made it a stress free and efficient move. Definitely will contact him again when it comes to moving day! Lawrence the driver was brilliant . He was very helpful and considerate. I would rate him 12 out of 10. Wayne is an excellent professional and very interested to talk with as well. I would definitely recommend and used again. He is really very helpful & professional as well. Wayne was amazing, helpful, quick, and nothing was an issue. He was fast but yet mindful of our belongings, ensuring everything was safe for transport. Would highly recommend him. Wayne was very pleasant and thoughtful about how best to pack my items/furniture. More than just a man with a van! Excellent communication and logistical skills really helped my move. Perfect service! Quick and efficient, no hassle at all. Safely delivered all items. Excellent. Arrived early. Very helpful and friendly. I would highly recommend him. Perfect service in every way. Will be using Wayne again I'm sure. He was very helpful and made the whole thing easy. Thank you!! Highly recommended. Did a fantastic job. Came early and was happy to crack on. Great company on the drive up. Would recommend! Made a hard job easy! Top man Wayne! Thanks for the help this morning, all went smoothly. Wayne did a great job, knew exactly what he was doing and in what order to load the van. Would definitely use him again. Wayne was very professional and did a great job, I'd certainly use him again. The driver was held up by traffic but called me to let me know he was running a bit late, all in all a good job. Wayne is the very definition of a hero, and helped us move over a dozen pieces of steel stage decking up 5 flights of stairs with no complaints and a friendly and professional demeanour. Highly recommended. He was excellent, came early and already had half of it loaded. Highly recommended him to anyone. Too bloke. Our driver was Wayne , he was amazing . Friendly, knew what he was doing , and treated our move as if it were his own . He was so detailed in how he loaded and unloaded his van . Would highly recommend him. I cannot recommend highly enough. Very punctual and extremely efficient. Really nice guy and helpful even with disassembling flatpack furniture when it doesn't fit down an extremely awkward staircase! Wayne was professional, friendly, and worked really hard. I would definitely recommend his services! Our driver was very efficient and professiona. We booked him on an hour's notice and he literally saved our lives. He was a little late due to traffic, but not a problem at all. A very polite man as well. Wayne was friendly & efficient. Would recommend. Very efficient service, and also a nice chat with the driver on the way to my new place. I would use this service again and recommend it to the others. Wayne was without doubt the most helpful man with a van I have hired, having moved 15 times I get through quite a few! Wayne is a top lad. Got everything done fast and was very helpful. I can't recommend Timely Transport highly enough. Wayne arrived bang on time with bags of enthusiasm as well as all the kit necessary to transport our belongings safely. The service was efficient, timely and the long journey a pleasure thanks to Wayne's friendly, easy going manner. Excellent service and very efficient- by far the best value of the numerous quotes I received. Will be my first port of call the next time I need anything moved. A very helpful and courteous driver that helped me move my items into a self storage facility. We moved from St Johns wood to Chiswick. It was extemely and polite and professional. Clearly the man loves his job and endeavors to give you the best possible service. Absolutely recommend him. I would highly recommend Wayne, his service is the second to none! Wayne was helpful and friendly and made the move easy. I would recommend him. I have yo said that the service was great. On time, very help full all the time and we have done the job in just couple of hours. Wayne was great, even with all our heavy/fragile/awkward boxes and furniture. Would recommend to anyone! Wayne was absolutely amazing! He completely exceeded our expectations and made our move run smoothly and completely stress free! Such a lovely person; efficient, professional, polite, courteous, and a great laugh along the way! Top bloke, will definitely recommend to friends and use in the future! Cheers Wayne! Wayne was excellent. I would thoroughly recommend him and will be using him again myself. 100% recommendable. Really nice and helpful guy! Driver is realy great. Good personality, friendly and very helpfull. Will use him anytime again and would greatly recomend him. Driver was friendly and work hard which made the move easier. Wayne was awesome!! He was really great with packing our things safely and quickly. He was really patient with us as we had some delays getting the keys to our new place. Would definitely use him again!! Wayne is an amazing guy! Highly recommend using him. Also, good to drive down with him as he keeps a good company. Five stars from me and will definitely use him again in the future when needed! Wayne was a pleasure to meet & have to help us move. He even provided a much needed ice cold on board refreshment for the journey! Lovely guy & professional service, highly recommend. Outstanding service. Driver put me at ease, treated all my things with utmost respect, and got the job done very efficiently within the allocated time frame - made moving much less stressful! Reliable and helpful. Thank you! Wayne was fantastic, reliable, friendly and courteous. He insisted on carrying anything heavy, and was always quick to advise and suggest the best way to get things into/out of the van. I would not hesitate to use him again, and will be recommending him to my friends. Fantastic and professional service. Highly recommended. Great Driver! Very helpful! Highly recommend him! A flawless move. 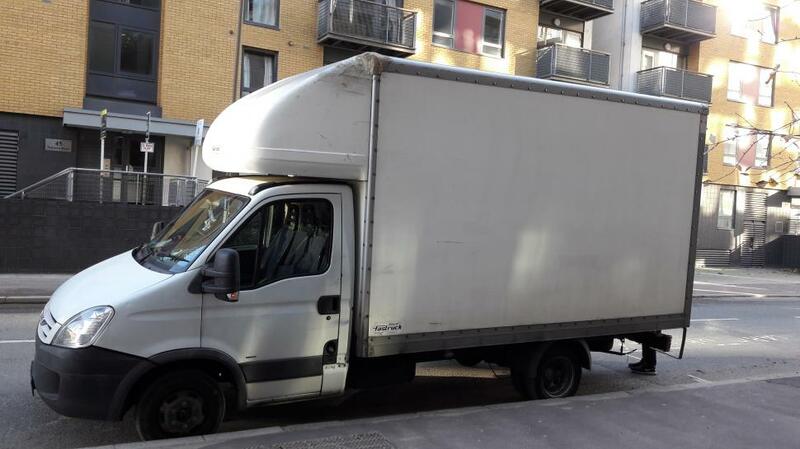 Our Man with the Van was so polite, helpful and friendly and I would recommend him to anyone moving in the area. So glad that I booked him and he deserves the highest rating possible, I cannot fault him. Wayne did a fantastic job. He was very efficient and hard working. I would definitely use his services again. Perfect service - great guys! Top recommendation! Fantastic team and excellent service. Would highly recommend them again! Really kind and helpful driver! recommened! Smashing chap. Effortless move. There is a reason he has so many good reviews! Lovely man, was a little late but that was expected due to traffic in the city. Very fast and polite, would definitely book him again. Thank you for a smooth move, much appreciated! Awesome. Punctual, nothing was too much trouble and very professional. Would highly recommend. Wayne and Mark were excellent. If I move again any time soon I wouldn't hesitate to book again! Our driver Wayne was fantastic, despite it being a very hot day he kept his cool. Managed to pack our entire 3 bed house worth of items in to the van when I thought it was impossible. He helped us all the way and even when we ran over time by an hour (due to traffic on the M25, not his fault) this wasn't an issue at all. The move was so much smoother thanks to him. Cheers!! Wayne was so helpful and organised. Made the move so much less stressful. Would recommend him highly. Perfect job, punctual and helpful. Will definitely use again. Awesome experience. He was very helpful and accommodating. Even though we went over by a few minutes, he didn't charge us any extra. Highly recommended! Wayne and Mark were excellent - polite, hardworking and helpful - Many thanks for all your help! Wayne was really excellent, happy to oblige and we really wouldn't have been able to do the move without his help. I'd recommend him to anyone. The driver was extremely friendly and polite. Everything was done quickly and efficiently. Couldn't have asked for a better service. Absolutely fantastic lovely guy that made every effort to make the move go smoothly, really was brilliant . would highly recommend. Took great care with our boxes and worked really hard. Awesome, thanks for the help Wayne! Wayne is an awesome driver, he made everything a lot easyer. I would recomend him to everyone. They were great! Very friendly and efficient! A really excellent service! Am very pleased an would use Wayne again! Excellent service - have used before, will no doubt use again. Cannot recommend highly enough. Wayne at Timely Transport was hands down the best removal man I've ever used. Punctual, very friendly, very careful at packing my more fragile items and invaluable at maximising the space at my storage unit at the other end (he must be very good at jigsaws). Highly recommended - will be using him again. Thanks Wayne! Wayne was very knowledgeable, organised and helpful. His help took a lot of stress out of the move. Thank you. Wayne was absolutely superb a true removals professional and a very nice guy who made moving home a walk in the park , I cannot recommend him highly enough to others. He's fantastic will highly recommend. He was patient and energetic. Really made moving simpler than I thought. Couldn't have asked for more, responsive, professional and helpful. Very highly recommended. Wayne from Timely Transport was everything we wanted from a man & van. On time, didn't complain when we had to use the stairs instead of the lift, extremely friendly and made everything go a whole lot smoother. Would recommend and will use again in a few weeks time. Excellent service. I would highly recommend Mr Driver. Excellent service - friendly driver who was absolutely brilliant. Couldn't recommend enough. A very kind driver (Wayne) who helped me a lot with the packing at both ends of the journey. Very reassuring too. Really good. Polite and helpful. Got all the items intact to the final destination. Great experience! Would book him again and recommend him to anyone! If you want a hassle free move like i did then book Timely Transport services ! I received a fantastic service today from Timely Transport . I will use again for my return journey next week! Thanks again Wayne. Great service, excellent job. Very courteous driver, will use again.